My girls love finding rocks everywhere we go. I can’t tell you how many “cool” rocks we’ve collected over the years. The girls, however, are just like me. I think if I weren’t a nurse, I would have become a geologist. 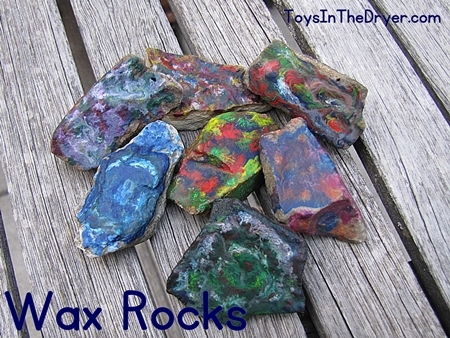 Because of our love of rocks, we decided to make wax rock gems. Any amount of rocks you want to make. The smoother the better. 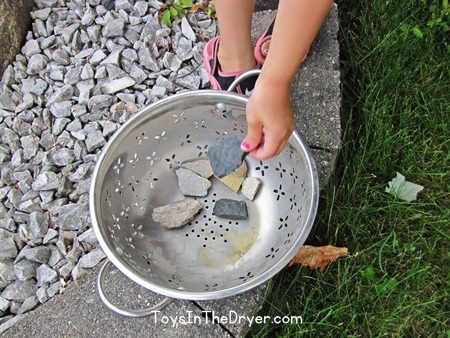 Start by collecting your rocks then thoroughly wash and dry them. Remember, the smoother, the better. Unfortunately, we don’t have many smooth rocks around our yard. 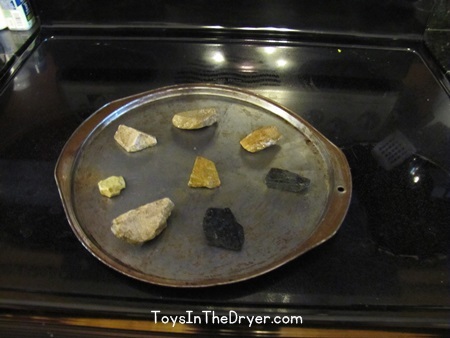 Place the rocks on a baking sheet and bake them in the oven until warm. 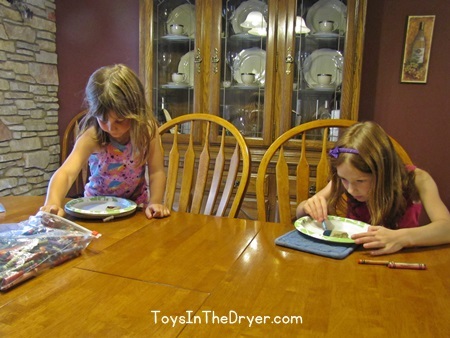 Use an oven mitt or tongs to transfer the hot rocks onto a paper plate or newspaper. Remind your kids that these rocks are hot! Use crayons to draw on the rocks. The warmth will melt the crayons and will allow the colors to blend together. Once cool, you can proudly display your gems! 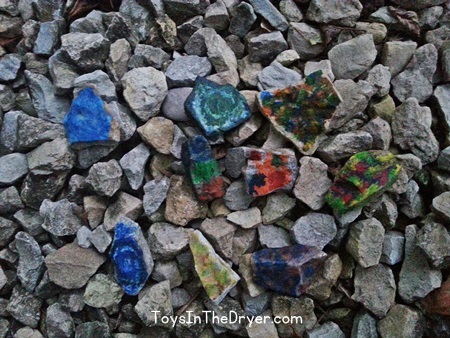 These rocks have definitely provided a pop of color in our back yard! The best part, they are made from wax so the color will not wear off in the rain! Do your kids like rocks?